Thank you for taking the time to visit our Web site. Please visit our Gallery to see some examples of the panels and you can also see some of our Cameos. The completed project will tell the story of the major historical events during the last Century, beautifully worked in embroidery, with a panel for each of the 100 years. For continuity, the panels all feature the same cameo at the top of a couple in that years costumes; side bars of rich abstract embroidery in specific colours; upper and lower borders of intricate and appropriate design work; details of those participating and for fun, a hidden wren. The intention is that, when complete, exhibiting this amazing work will raise funds for The War Child Charity as well as favourite charities of those groups who have participated in this project. We are still in need of a small number of needlework groups to take on a panel for this project. Each group must consist of at least five people as the volume of work would be too prohibitive for one person. The people working on the panels should be reasonably skilled embroiderers. If your members have qualifications, then that is a bonus. I have seen wonderful work done by people who would never attempt to sit an exam, but their embroidery would pass with honours. 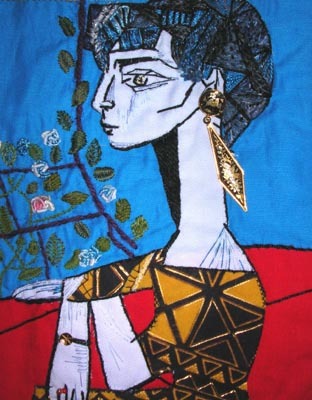 We want enthusiastic, creative people with a love of embroidery and stitch craft. The fabrics have been generously donated by Coats Crafts UK. This consists of a main panel of satin face surface linen, with a top and bottom border, as well as a side date panel in 28 count Charles Craft 'Monaco'. Embroidery silks and other fabrics are not provided and must be supplied by the group working the panel. Should you have a group who would like to be involved in this exciting project, please browse through the rest of this web site, read the rules, choose a year and then fill in the application form. 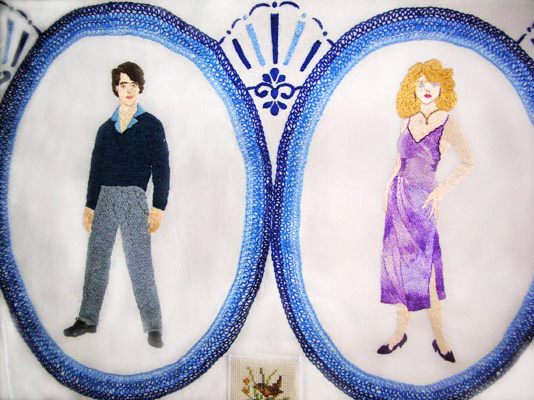 I am pleased to work with Shirley Caddy who does mail order embroidery for this project. Please have a look at some of Shirleys work. 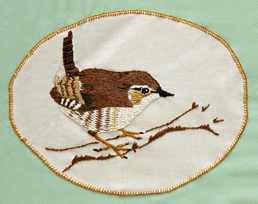 Examples of year numbers, borders and the wren can be found in our guidelines page. I am often asked what happens when the project is finally completed. To raise funds it will be exhibited in major towns and cities. As we have some groups from countries other than Britain I feel sure we will also be taking it abroad. Monies raised will be from entrance fees, plus the sale of related items ie. cards, tea-towels, pictures etc. We hope to see the final "tapestry" in permanent exhibition in an appropriate setting. Exclusive and unique cross stitch chart designs for immediate download from cross-stitch-charts.com.